Prominent & Leading Manufacturer from Mumbai, we offer turbo blower and furnace blower. We have emerged as one of the prominent manufacturers and traders of a wide assortment of Turbo Blowers. 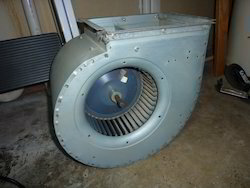 These blowers are designed with several blades mounted all around in order to ensure the smooth operations. This range of blowers is widely appreciated for the sturdy construction and durability features. Moreover, for attaining our customers’ trust and satisfaction, we make sure to dispatch the entire assortment in a stipulated time frame. Volume 30 - 8,000 m3/hr. Pressure Value 30 - 1,530 mm WGP. Temperatures Up to 350 degreeF. 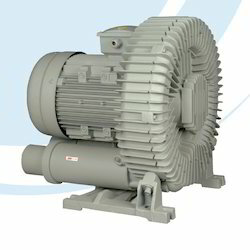 We manufacture a large range of industrial high-pressure blowers and heavy duty fans. The high-pressure blower can be provided in SISW. This fan can be operated at temperatures up to 350°F. Industrial high-pressure blower and heavy duty fans to handle corrosive gases, abrasive elements. The high-pressure blower can be operated by directly driven or driven by a coupling or a belt. Made using superior quality stainless steel, mild steel. Combustion air for industrial water heaters. Blow-off systems to remove moisture from parts pressurization. Looking for Furnace Blower ?